The process of making a home your own doesn’t end when you sign the deed. In fact, that’s when the process really starts. A house becomes your home once you customize it to your individual, distinctive taste and lifestyle. Home improvement projects can bring satisfaction to homeowners at all stages of the game: whether they just bought the house, have lived there for quite some time, want to increase its resale value, winter is coming, or they just want to be creative. Whatever the reason for the upgrade, one of the most important first steps is to take a good look at your bank account. It’s important to resist the impulse to dive into a long list of home improvement projects. I spoke with a design-build contractor, Aquarian Renovations, a company that specializes in custom homes, to create a list of aesthetic fixes and budget-friendly overhauls for your home. Here are the best home makeover tips plus clever hacks and ideas from this expert home renovator and increase the functionality, value, and happiness quotient of your home. Because first impressions matter, invest in enhancing the look of your entrance. Your door can make or break the look of your house. If you really want to convey a welcoming vibe to your guests, remake the exterior of your house to keep your visitors intrigued of what else the inside has to offer. Consider purchasing a new front door with a vivid color and contemporary fittings or locks. On the other hand, a solid door in good condition only needs little DIY fixes like a new paint color or switching out a new handle or knob. For a more inviting look, spruce up the porch with potted plants, a welcome mat, stylish new house numbers, and outdoor lighting to highlight the beauty of your walkway. A simple tip from our expert is to use lighting to make any room look bigger and warmer. To create a brighter and happier space, ditch your old lighting fixtures for new, modern lamps and energy-efficient bulbs. A fresh light fixture over your dining table is a surefire way to brighten up mealtimes. As a safety precaution, turn off the power from the breaker box before connecting any electrical wires. Update your existing fixtures to match your decor. You can spray paint your old chandelier or the blades of a ceiling fan to breathe new life to them. To achieve the feel of a designer home, you can install a dimmer switch or cord to add more accent and versatility to your rooms without having to buy more light bulbs. You can use incandescent bulbs or fluorescent light with dimmable bulbs. By adjusting the slide switch, you can get the perfect warm ambient lighting you want every time. There is more to painting your walls than just covering them with thick layers of colors. Whether you go for paint or paper, changing the color of your room can also change its appearance. No matter how small a space is, when you focus your home improvement plans on the walls, you can create an illusion of a wider and bigger room. No room is old nor drab when you choose a paint color that adds a burst of brilliant depth to it. If you opt to go for a bold tint, use it to paint just one wall in a room. Aside from the fact that it’s less costly, it’s also a quick fix compared to painting the entire room. If you go for a faux finish or a decorative wallpaper, a small room is a good place to experiment with fun patterns and designs. Self-adhesive wallpapers work like an easy-to-apply sticker, where you can peel the paper off its back and stick directly to the wall. Give your eyes a reason not only to focus on what’s up on the walls, but also to look down underfoot. Quality flooring drastically changes the overall look of a room – much like your walls. Those hardwood floors hidden under the carpet are nothing but beauty concealed in a dark cave. Let them shine to bring out their natural appeal. Meanwhile, hardwood floors that are not in good condition require refinishing. If you have the money, it wouldn’t hurt to invest on good sanding or refinishing. For more eco-friendly and affordable options, choose bamboo or cork. But if you’re on a tight budget, you can easily update the floor space using the ever-dependable home makeover partner – paint. If it’s time that’s keeping you from updating your flooring, start with an easy, fast fix that’s also decorative, like sheet vinyl or vinyl tiles. These will also make your space look better and can hold up to heavy use. One nice-to-know tip if you’re annoyed with the squeaking sound from floors of old homes is to sprinkle on talcum powder and sweep it into the cracks to stop those creaking floors. Although you might not want to cover up the natural light coming in through your windows, windows are worth your attention when it comes to home improvement. Windows can make your home more energy efficient which, in return, can help save you dollars off your electric bills. 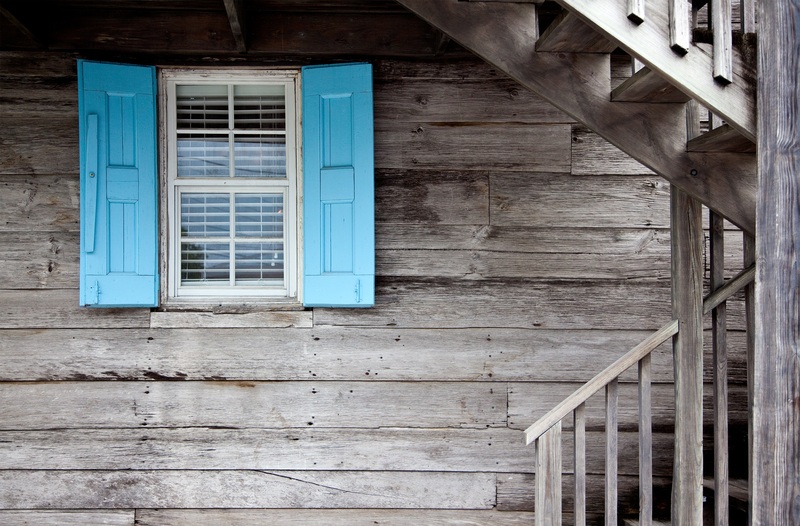 If you’re planning to build a new house, consider placing a window that does not face the winter winds. If you don’t want to use blinds or curtains, you can just install shades in the form of window films. These act like room sunglasses and are an inexpensive way to make your home energy-efficient. At the same time, it gives you more privacy and stylish opacities and patterns.